Plant selection is the most important part to the final outcome of creating the right garden to give you that feeling of relaxation and ease to the eye. Balance and flow. Foliage contrast, texture, shape, form and colour are all great ingredients for the right result in the completion of the garden. The right soil preparation and conditions and surroundings are all taken into consideration. There are so many garden mixes of plants to use and our years of Horticultural and retail nursery experience means we understand what people want and how to create the desired garden. At Natural Garden Scapes we guarantee every garden we do and if the selection of plants falter we stand by what we have done and fix the problem. Occasionally plants may not like the area provided for some reason, so we look at other alternatives. We are constantly looking for new plant themes in our gardens and look forward to each challenge by being a bit different, trying new methods and evolving new ideas. 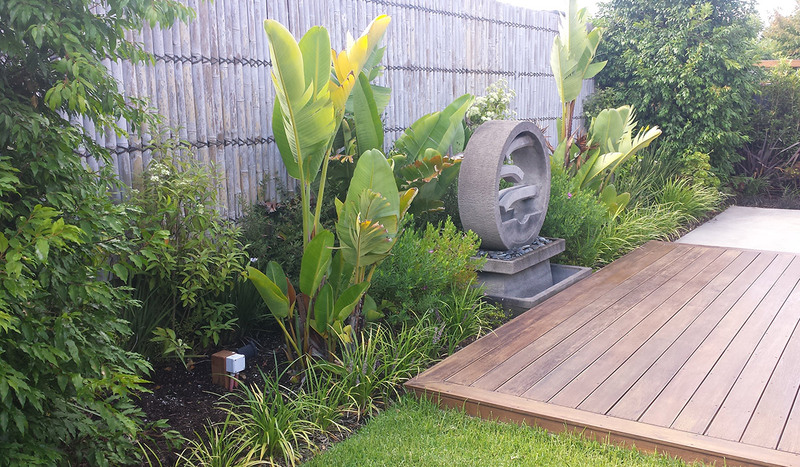 We listen very carefully to what you want and give you all the help you need to maintain your brand new garden.